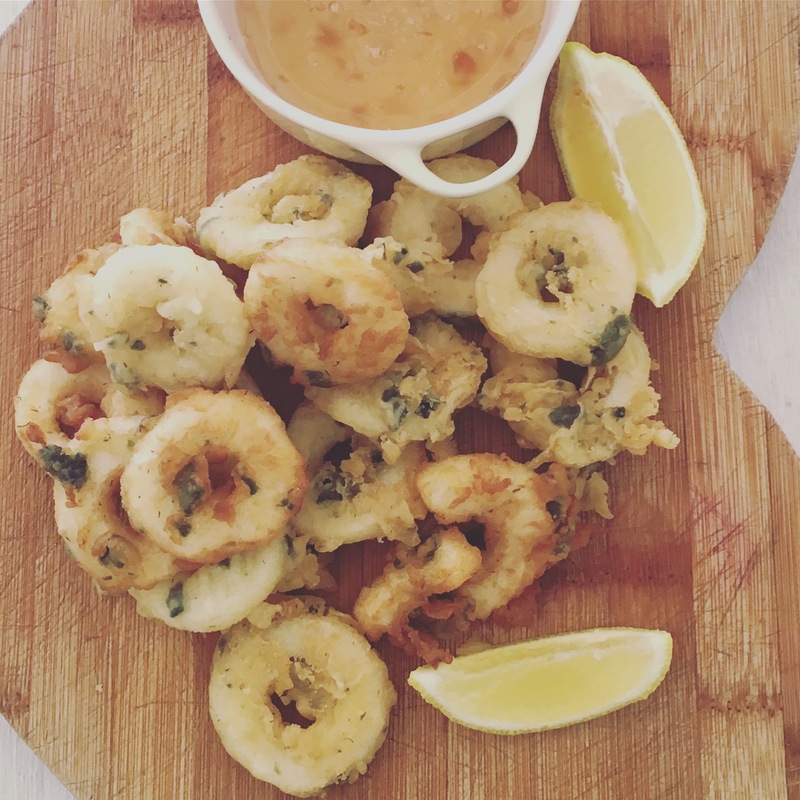 Having an opportunity to eat calamari after choosing to go plant-based is a revelation I tell you! These palm hearts vegan calamari is as good as the octopus version, if not better. Same texture. Firm but soft. Give these a try, they are delicious. Drain the palm hearts from the tins. Put in a colander and rinse properly. Cut small circles in the palm heart medallions. We used a small lid of a bottle. Put it aside. Add the tempura flour to a container. Add the cold water slowly and mix completely. Add the nori flakes to the tempura batter, as well as the seasoning. In a big plastic bag, add the all purpose flour. You can add some spices in here as well if needed. Bring oil to a rolling boil on the stove. Dip the palm hearts in the batter first, then the flour and fry until golden brown. Remove and serve with a sauce of choice. We served it with plum sauce. Yum!